Our rolled canvases are becoming incredibly popular these days. There are several advantages to their framed counterparts. No frame is required, so time is saved up front. Rolled canvases can be used many times and in many different places. They are easy to transport, just simply roll them up and take them with you. Then you can easily and safely place them in storage for the next needed use. Working on a tight budget (and aren’t we all)? 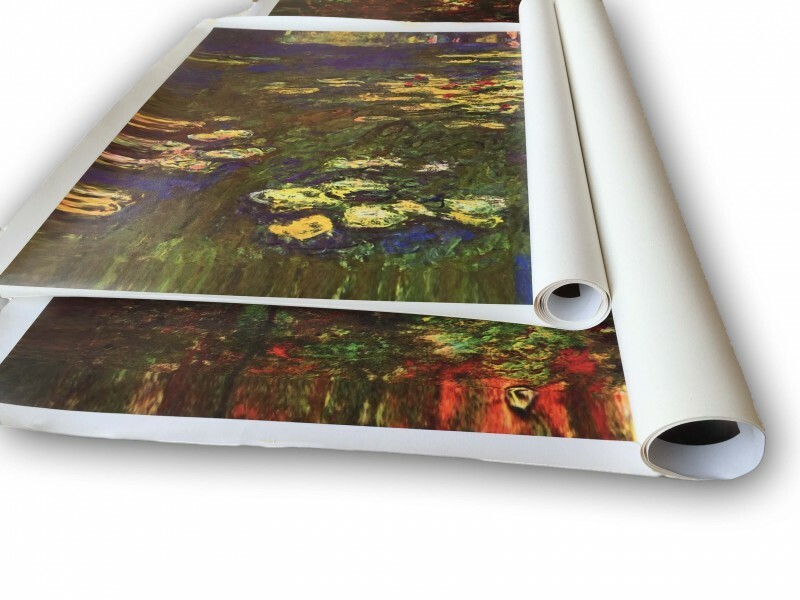 Rolled canvas is a much less expensive alternative for your canvas choice. You can make your special photographs and artwork a dramatic design display in your home or workplace. 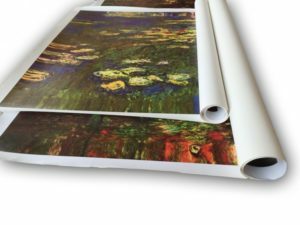 You no longer need to purchase large expensive wall art or murals, when our rolled canvas is an affordable wall decoration choice. You can even opt for a white, or any color, (in any width) border around your print, guaranteeing that it is displayed perfectly. Our acid-free, pH-neutral canvas and laminate are made to go together perfectly. It is a water-resistant, poly/cotton, finely woven blend canvas for greater durability. All canvas is protected by double layers of laminate. Canvas and laminate are proudly made in the U.S.A. The creative applications of our rolled canvas prints is simply endless, and if you have those very special photos, and want to display them for everyone to see and admire, come to or contact Shutterbug Printing & Framing (765-358-3144) soon. We’d love to help with this very dramatic project.